Little Dragon are a Swedish band that has reportedly been around 1996, though they’ve been releasing full studio albums at a steady pace since their self-titled debut album in 2007. “Nabuma Rubberband” is their fourth full studio album. They have an established style of trip-hop and indie electronica that presents sounds that are always intriguing and sometimes elegant. 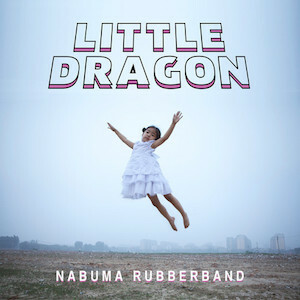 “Nabuma Rubberband” feels like a step in the right direction after 2011’s “Ritual Union”. We should “never judge a book (or a music album) by its cover” but from its cover to its sound, “Ritual Union” felt a little vintage so “Nabuma Rubberband” is the next logical step in a post-vintage style era. The new album feels fresh, as experimental as ever. It loses a little of its elegance by presenting a much stronger trip-hop-based sound but that’s not a bad thing at all, quite the contrary. The mystical electro sounds are enchanting and Yukimi Nagano’s vocals are exquisite.